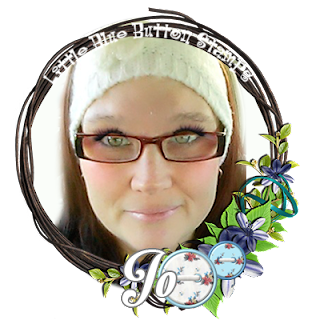 ~Jo's Scrap Shack~: New May Release with Little Blue Button Stamps! New May Release with Little Blue Button Stamps! 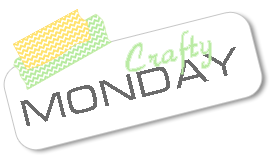 Welcome to a new release and welcome to Crafty Monday! Well have you seen May's new release yet?? The Little Blue Button Shop has released some adorable digital stamps this month. Today I have the pleasure of working with this adorable digital stamp called, Wavy Hair Charlie. Here is what I created today! This adorable little Charlie was printed out on some bristol paper and I watercolored her in using my Dina Wakley's scribble sticks. I had so much fun coloring her up! I knew right away with that gorgeous wavy hair that I wanted to do an ombre hair color. I absolutely love how it turned out! The background was created with just some light color wash on one half of the paper--I gave it a diagonal line for interest. 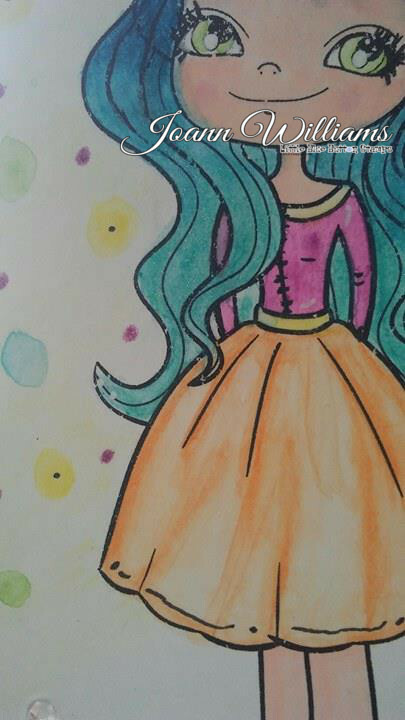 I also added different color circles and dots to the background for some fun. Then I framed the image in by taking my copic multi-liner and creating some doodling around the edges. Overall, love how this turned out. 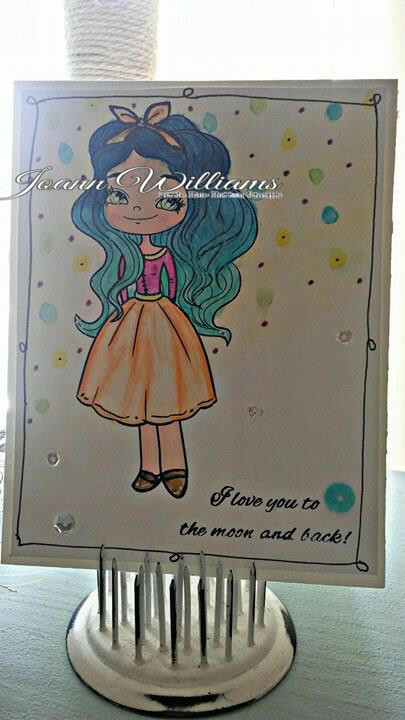 The sentiment is from Cardz TV Stamps and I made this card to give to my daughter. I actually think this sweet Charlie image resembles a Monster High Doll by the way I colored her up! :) The layer was adhered to a white card base and I used some Spectrum Noir clear sparkle pen to give her hair and some of the circles some sparkle! Hope ya like her! Do you want to get your hands on this this adorable Wavy Hair Charlie image? Just head on over to the Little Blue Button Shop and pick her up! And please remember to head on over to the LBBS Blog to check out the awesome projects that my design team sisters have created for you using May's New Release. Well thank you for stopping by today! I hope you have a wonderful, crafty day! Way to go with the blue hair, love it! Thanks for playing along at AAA Cards and good luck with the DT call. Oh so sweet! 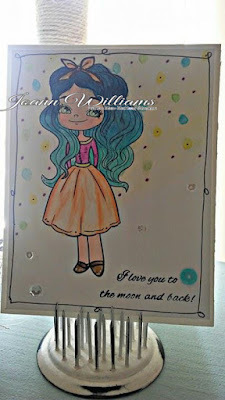 LOVE the background & your coloring... really pretty card! Have a great day! Hello…. 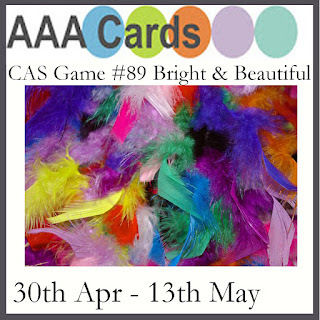 You have made a beautiful card…. Thanks for entering it into the ‘Anything Goes’ challenge at Crafty Friends Challenge Blog. Good luck in the draw and we would love you to join us again for our next challenge. Jo, I love her beautiful eyes and pretty hair! !Such a darling image! Adorable card my friend!! cute card, thanks for sharing with us at AAA Cards! Beautiful coloring Jo! This card is so sweet! Charlie is the sweetest girl ever! 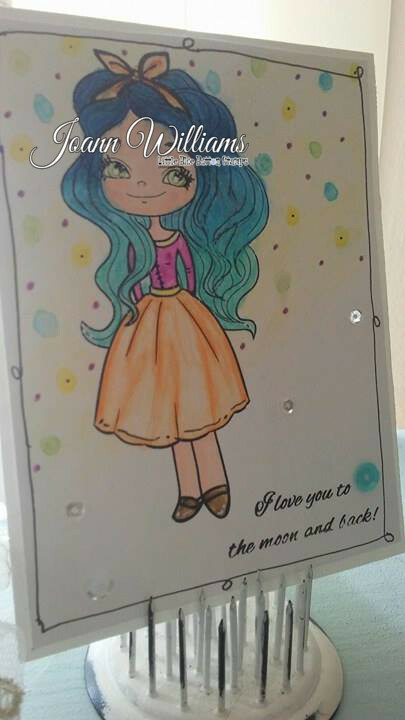 Fun background and wow, your coloring Jo is AMAZING! Fantastic job! Your colours is wonderful on such a sweet image. Thanks for playing along with us at AAA Cards! Lovely coloring and sweet image. Thanks for sharing with us at AAA Cards. Beautiful - love her hair.